Marco Larousse photography blog. Read about current projects, documentaries, fine art print sales, gallery exhibits, workshops and speeches by Marco Larousse. 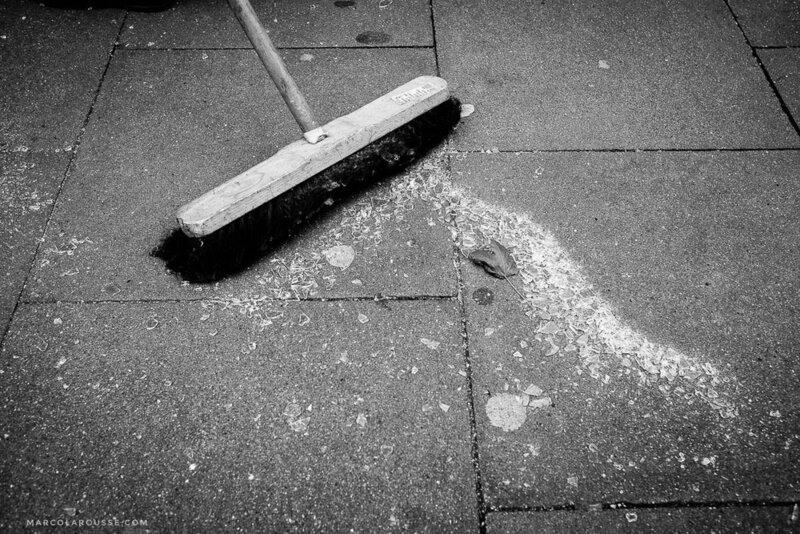 At the end of 2016, I've decided to start a street photography project in Hamburg for 2017. 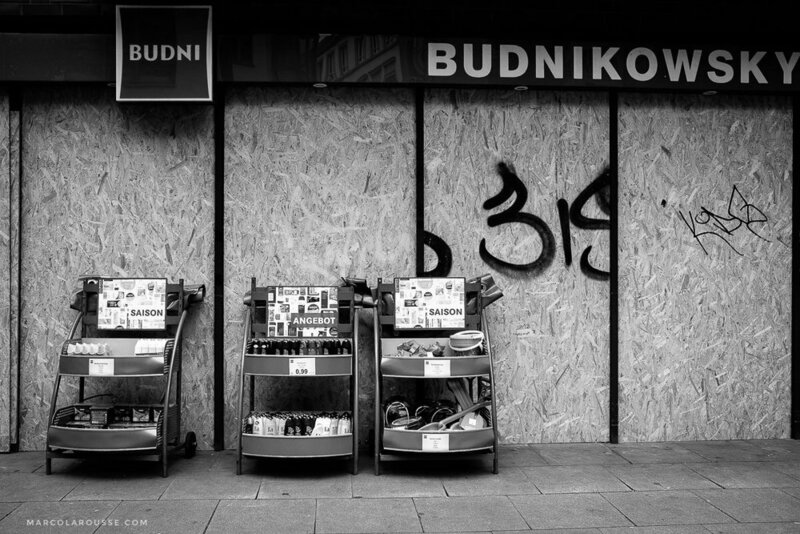 The goal of the project was to document the beauty of the unstaged daily life on Hamburg's streets throughout the year from an artistic and classic street photography point of view. 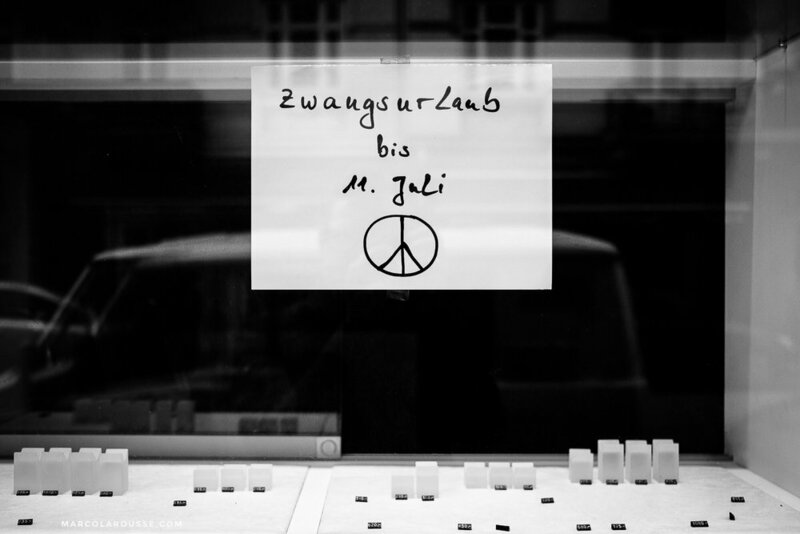 During the project, I've captured more than a thousand photos and walked hundreds of miles on Hamburg's streets. On December 31th, 2017 I've created a short video with a selection of 4 images from each month of the project that you can watch below. I'm currently in the process to decide how this project will be shared from here on: Maybe a book, an exhibition, or a fine art print series..? Germany is the host of the G20 summit talks in 2017 and Chancellor Angela Merkel decided to host this event in Hamburg. Hamburg is known to be an open, diverse and international city due to its large and 828 years old harbor. And because of this, Hamburg also carries the nickname "Gate to the World." 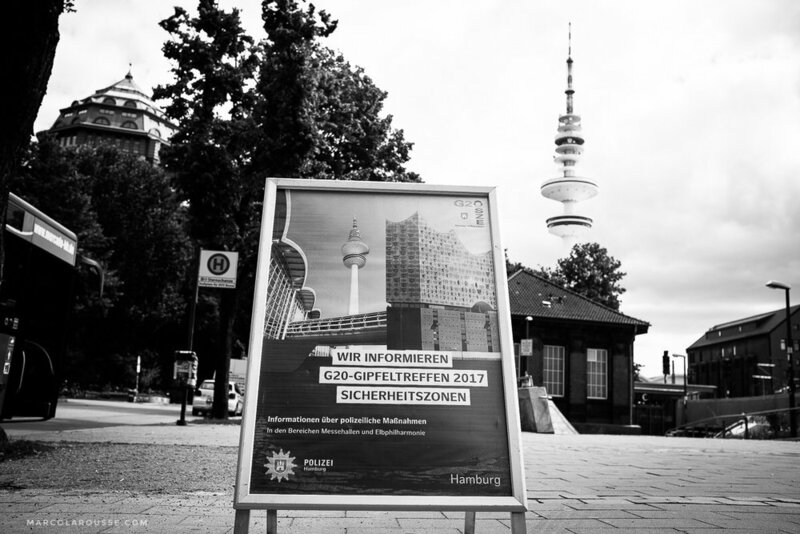 But when it comes to hosting the G20 summit in Hamburg, most people from Hamburg are opposed to having this event in their metropolitan city. While most residents support the idea that leaders of the world should talk to each other and try to effectively tackle the urgent inequity and environmental issues of our planet, the majority of residents think that this event should not have been hosted in the middle of a metropolitan, but rather in a more remote place where the implications and security concerns would have been much less trouble. In addition to that, the event takes place in the most alternative part of town that had a long history of, let's say, not reacting well to gentrification, capitalism, and inequality of minorities. To these residents, it's seen as a blatant provocation and adds fuel to a G20 summit event that has a long history of protests and violence. With this photo series, I documented the "under siege" area with my camera just days before the G20 summit started on July 7th & 8th. Small home made protest sign in a residential building. A total of 20,000 policeman and policewomen are in Hamburg to guard the G20 summit. The police are present with info stands in the areas that are affected by the lockdown and limited access rules. Signs with quotes from Donald Trump show up to use his words to protest the G20 event. Many stores in the lockdown area have to take mandatory holidays as customers can't reach the stores without permits. The loss of revenue is a price to pay for shop owners. 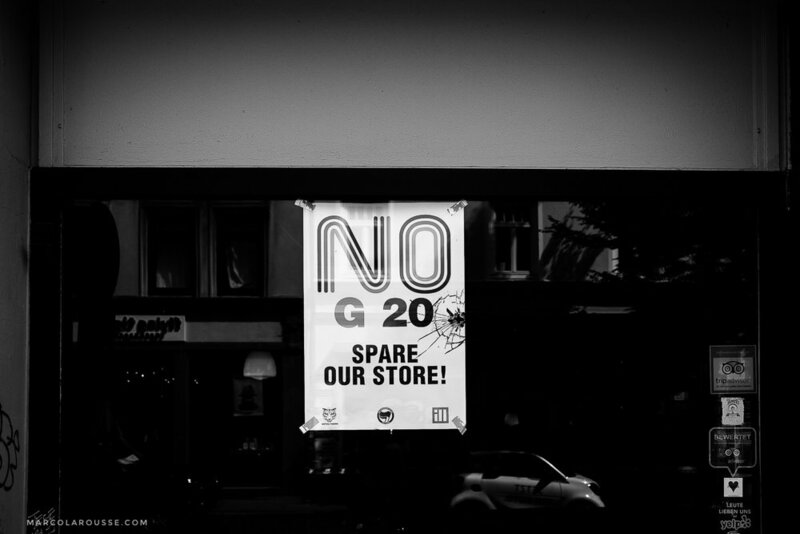 This motivated many shop owners to show their protest against the G20 in Hamburg: "G20 you should not be here"
As G20 events come with violent protest and riots, many stores board up their windows. 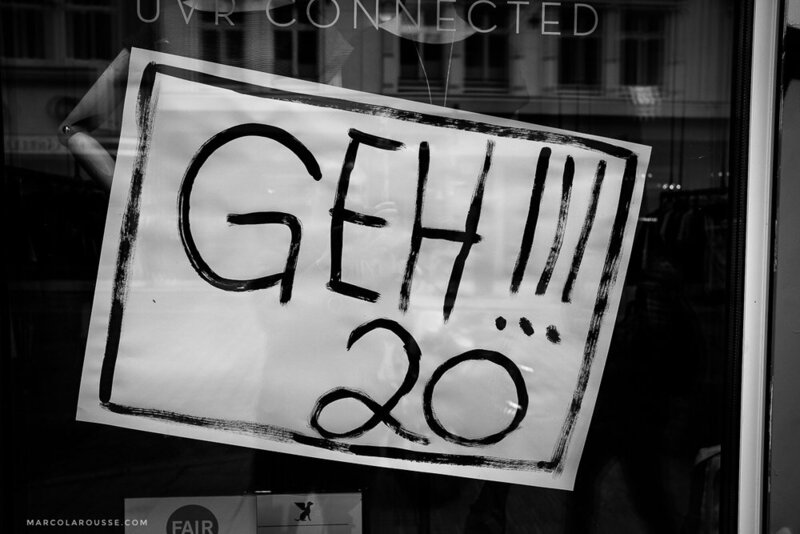 Others hang up signs and ask to spare their stores from damaging them as they are also against the G20 politics. Those signs don't always work, though. 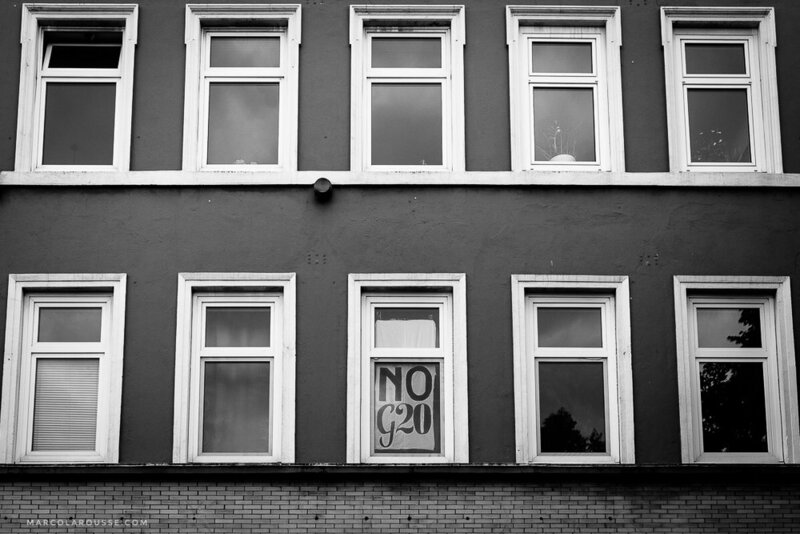 The alternative scene living close to the G20 venue has clear words voicing their opposition. The "Rote Flora" is historically the center of all political anti inequality and capitalism protest. Many protest banners are also aimed towards environmental protection. Instead of "XYZ Nation First" they want to see "Planet Earth First". 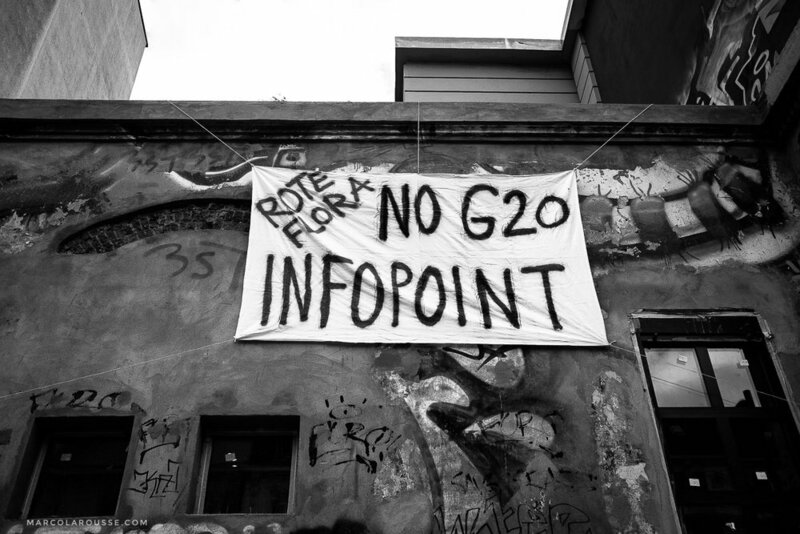 Alternative G20 events revolve around solidarity without borders and friendship as opposed to hate. 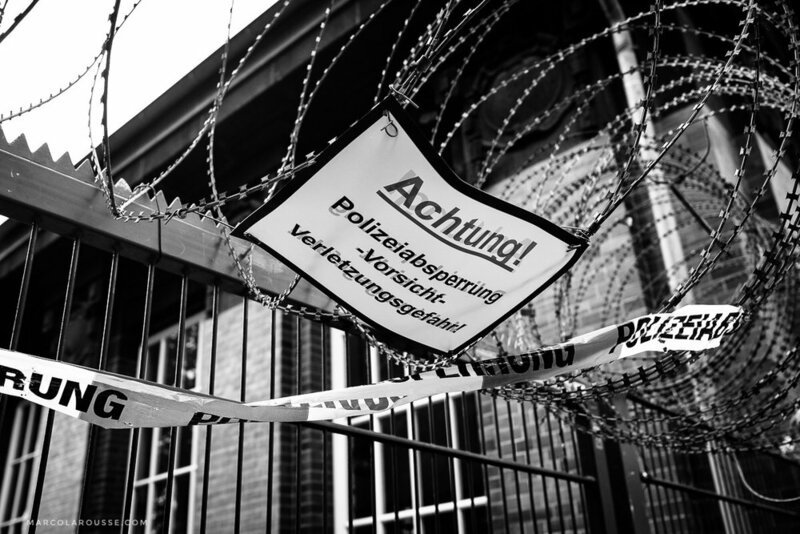 The Hamburg police had been fighting legal battles with protest organizers who wanted out of town protesters to sleep in a protest camp. "Yes we camp" is their slogan to protest the camp ban. Even the house of anarchy needs organized structures to protest effectively. Beer prices are stable at Schanzenviertel even during the G20 summit. Even traffic lights carry protest messages for the G20 summit. 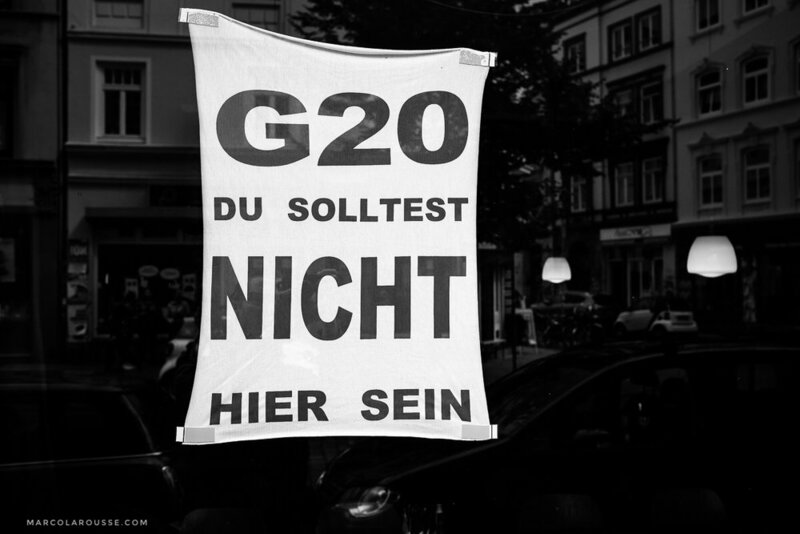 To sum it up: Many citizens of Hamburg want the G20 summit to just go away.